Wedding photography has allowed me to learn and capture stories of couples from various parts of the world. As an international photographer, one of the most beautiful experiences was to document RCMP officers wedding. Not only did I learn about the struggles and sacrifices of pinning badges on red coat but also the values and responsibilties that come with it. For the bride, the morning started with Xpression Studios makeup and hair team, getting her ready for the big day. One of the heartwarming expressions was from the brides mom seeing her daughter ready to walk down the aisle. On capturing getting ready moments, we headed to the Sikh temple (Gurudwara) in Hamilton. Bride married her prince charming in red. Their love was flourishing with colours of pride. The ceremony was carried out as per Sikh customs. 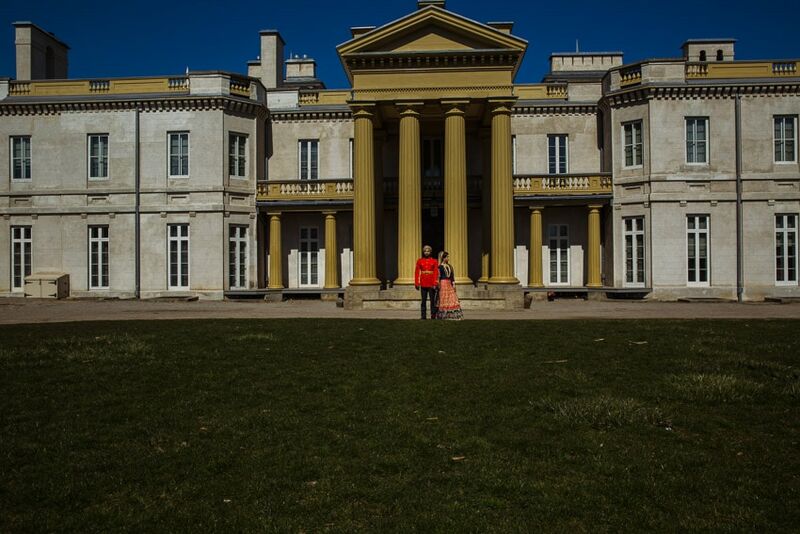 To complement the royal look, we took our wedded couple to Dundurn Castle in Hamilton. A British-Italian style villa standing since 1830. You can actually use this location as a wedding site as well and the property shows the affluent lifestyle of the royals which we captured in our photographs. The reception was in the Halton region, where we took some photos prior to the commencement of the reception. Working with Canadian Mountee was proud moment for my team and me. The colors of Canadian pride blended in the festivities of Sikh weddings when groom wore his RMCP uniform during the wedding ceremony. It was an honor for me to document a wedding story like this and we would like to be a part of another one in future. From Alfaaz Photography team, we would like to offer all of the servicemen future clients a 1000$ print credit for inspiring others by wearing their uniforms on the wedding day and as a token of appreciation for all the sacrifices they make for us fellow Canadians.